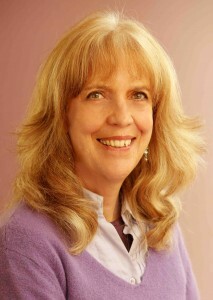 ERICKA ALLISON has been in the alternative healing world for over 30 years. She has migrated away from the field of psychology towards more spiritual approaches to healing. Her interest has always been to work with cause rather than effect and this has opened many interesting doors leading her to study at communities such as Findhorn in Scotland, Emissaries of Divine Light and Esalen in USA. The world of breathing beckoned her in Hawaii many years ago and she is a qualified rebirther and also a Breathwork facilitator. She has been both a scholar and a teacher in many countries, including Israel, UK, USA, Australia, and has had the priviledge of working with great mentors such as Louise Hay, Torkem Saraydarian, Dr. Brugh Joy, Rupert Sheldrake, Hal Stone, Werner Erhardt, Leonard Orr , Anthony Robbins etc. For the last three years she has been studying psychophonetics with Israeli mentor and teacher Yehuda Tagar and has successfully passed from student to therapist in this exciting modality based on the teachings of Rudolf Steiner. At the age of 44 she gave birth to her son Jethro at home in her bath, underwater, and since then has supported pregnant women in natural and water birthing. The job of “midwife” aptly describes how she views her career at present – not just in the context of actual child birth but also in the context of facilitating a new birth in the consciousness of each individual with whom she works. She passionately advocates a sustainable world that works for everyone and is dedicated to making a difference by teaching therapies which promote conscious awareness grounded in physical, mental, emotional and spiritual aliveness. Rebirthing is a safe and gentle breathing process which enables the participant to move through self-defeating patterns relating to self, to others, to the past, to the present, in order to open up to living with more joy, more love and more creativity. The effect of regular Rebirthing is to empower the participant to become their own authority and to understand that thoughts create reality. Releasing old negative thoughts and limiting holding patterns in a safe space allows for profound relaxation, insight and healing. When we were very young we learned to hold our breath. It was a great way to protect ourselves from feeling all those tumultuous feelings – fear, abandon­ment, sadness, anger . . . if we tensed up, and didn’t breathe too much, the feelings would subside. It was a good survival strategy. Trouble is, the feelings didn’t go away, they just got stuck in our bodies (a good body-worker will find them), and also we got so used to holding our breath we forgot how to breathe freely again. Rebirthing is a very simple breathing technique that reminds you, breath by breath, how to relax and breathe freely again and allow the feelings to be there, and how to go behind the feelings to the thoughts that have run your life since birth. Rebirthing can be experienced either in individual sessions or in a group setting. You will be guided to understand the breathing technique, and also begin to explore the way in which your life experience is run by the way in which you think about it. “As you think, so you are”. Most of us have accepted these days that we are not victims, but when some aspect of our lives is just not working it can be difficult to feel aligned with our mastery. It is helpful to challenge our dearly held beliefs and points of view and the link is our breathing. I can “think positive” as much as I like, but if I’m stuck and holding my breath, I will limit the potential for lasting change. Hello ! …………. Who are you ? Which layer of your being do you identify with and which do you ignore? What distractions do you use to avoid being yourself ? What prevents you from being you and embracing your own happiness and contentment ? What are you holding on to and why will you not let go? We are all plagued by a combination of the above, yet how is it that we fail to find many of the answers? Perhaps by an enormously creative and manipulative act of hiding ourselves from ourselves, or by ‘ forgetting ‘ – ( an adult version of hide and seek ) – all under the illusion that we are protecting ourselves ! Psychologically speaking, this game has resulted in a limited self-identity, the projection of our disowned ‘ parts ‘ onto others, and a feeling of impoverishment and separation. There are aspects of life, both inside and outside ourselves, from which we have become disconnected. As human beings, we have a strong drive to reclaim that connectedness, but we may not know how to go about it. We may be disconnected from childhood memories, from other unresolved issues in our past, or solutions to current problems. We may feel disconnected from our bodies, our feelings, or our intuitive abilities. These disconnections interrupt the natural flow of vital energy so that we repeat old patterns of behavior that produce results we do not want. The stress can generate physical symptoms, depression or even illness. Yet the quality of our daily lives is transformed if we are willing to explore these areas and to reconnect with these parts of ourselves and our spiritual source. 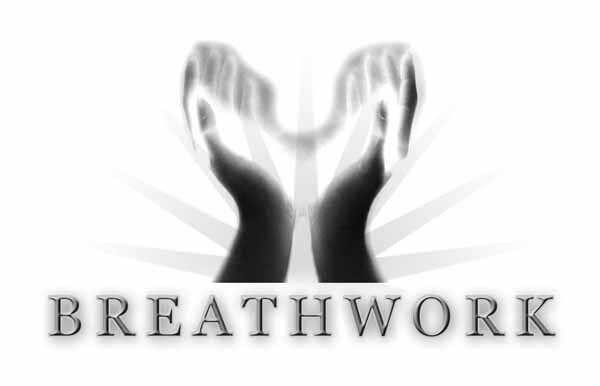 Breathwork is a powerful and safe practice of remembering, using accelerated breathing, evocative music, and focused energy release work to facilitate a deep experiential process. The process creates a vehicle for experiencing the whole of ourselves, allowing us to access those lost parts of ourselves through non-ordinary states of consciousness, as well as allowing the release of emotional toxins, all in a safe environment! Breathwork integrates ancient and modern techniques for the purpose of self-transformation. For thousands of years, non-ordinary states have been employed systematically to seek healing or wisdom. When our bodies and psyches are energized by the breath, we begin to create our own healing – experiencing, resolving, and integrating material in the proper sequence and intensity for our own development. The practice of Breathwork is supported by many years of research. There are numerous forms of breathing modalities, the more well known being a technique called Holotropic Breathwork which was developed by Stanislav and Christina Grof. Their 40 years of research and descriptions of non-ordinary states of consciousness are more fully described in Grofs’ books : Realms of the Human Unconscious, The Holotropic Mind, The Adventure of Self-Discovery, Beyond the Brain, and The Thirst for Wholeness. Breathwork is not part of any religion, cult or philosophy. There is no ‘ third party ‘ reflection necessary or reliance on a therapist’s interpretation. There is no work to do before or afterwards – it is a complete process unto itself. A facilitator is present during the entire process to ensure that your experience is allowed to take place in a safe environment, uninterrupted and as comfortably as possible. Participants who continue to do this work report an increasing degree of trust in themselves and in others, a reconnection to their spirituality or Higher Power, and a greater sense of purpose in life. Insights regarding patterns, releasing of blocked energy / emotions in the body and spontaneous joy, peace and creativity are common experiences. In exploring the whole of yourself you will understand yourself better, what you need and how to achieve it. Breathwork is a process of becoming whole! Deep breathing is a big part of your well-being, because with that deep breath, there is activation on a cellular level. In other words, it is the current that carries the vitality to the extremities of the cells. And so, the more you are breathing, the more you are thriving. Some say it is the way the Spirit moves. We would say it is the way life moves most efficiently through your physical body. And, fortunately, it is something that is not left to your conscious mind. You don’t have to prompt yourself to breathe. It happens. But you can prompt yourself to breathe more. We encourage that you deliberately take some air in. And then before you let it out, take some more air in. And then before you let it out, take some more air in. And before you let it out…and you say, “I can’t take any more in, because there’s no place for it to go.” And we say, yes there is, take some more in. Expand your capacity. Your lungs, like balloons, can be all shrivelled up, or expanded fully. As you move on a regular basis, they expand somewhat, but they don’t expand fully. As you deliberately breathe deeper, it becomes more natural for them to get fuller – and before you know it, it will be an involuntary thing. You will naturally breathe more deeply. When you are running or moving your body, you don’t have to think about it, your body demands it. But when you are sitting, it’s very helpful to deliberately breathe in more, breathe in more. And when you think that you cannot breathe in any more – breathe in more. And then experience the deliciousness of a long, easy, out, out, out, out, out. And then breathe in more, breathe in more, breathe in more. And as you do this more deliberately, you will begin to do it more involuntarily – and your bodies will thrive. It’s even more important than drinking water. It’s right up there with life itself. When concentrating on your breathing, you are not concentrating on other things. And in that absence of resistance, you are also allowing an alignment of Energy. So you get a double whammy with it: You’re aligning with Source Energy. You are literally feeding the cells of your body, allowing oxygen to reach the extremities of your cells. Everybody comes alive – and everything works better. Metabolism works better, elimination works better, clarity works better, blood flows better. Thriving comes from this. 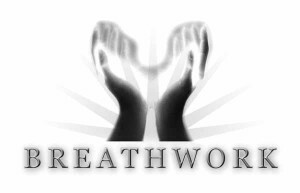 Who would come for a breathwork session? a crisis, eg. death of a loved one, car accident, injury, diagnosis of a life threatening illness. Some clients come regularly once a month as a regular healing modality in their routine. Some come once a week for several sessions to get passed a block. Some come when they feel the need. Five to ten sessions can open up wonderful new horizons on the journey of consciousness. Every session is different, unique and rewarding. Remember: there is no quick fix . . . it takes years to build blocks and they may not come down instantly. A session usually lasts for 3 hours. The facilitator will explore with the client whatever the presenting issue for that session is, with the emphasis on positive changes which the client can establish to replace currently held negative patterns or thoughts. Once a clear direction is available the client lies down on a mattress covered warmly and to the sound of strong music is encouraged to breathe faster and more deeply than normal. This increased rate of breathing is coached and guided by the therapist who helps the client remember to breathe when negative associations, coming up into consciousness on their way to being released, cause the client to hold the breath. The client is encouraged by the therapist to keep breathing through pain or sadness or resistance and inevitably the client surrenders to the breathing rhythm to experience the wonderful sensation of the breath ‘breathing’ them! Expertly selected provocative music supports the session, beginning with driving pulsating rhythms which then flow into music of a journeying kind to end off with soft melodic relaxing melodies as the cycle of release is completed and the client relaxes into peace and even bliss. The session is often accompanied by profound insights and creative thinking and in this altered state pains and fears are gently unravelled. The actual breath work aspect of the session lasts for a little over one hour. Over a cup of light refreshment the client and therapist share insights and understandings. This is often a soft and intimate sharing in a healing atmosphere. Lightness and relief frequently result as increased oxygen in the blood stream clears toxins and wastes out of the metabolism, strengthening the immune system. Clients access experiences from their past and/or present life history, from their gestation and birth, from past lives, they may astral travel, they may encounter guides and spiritual friends, they may encounter relatives who have died, or experience encounters with the Divine, or they may see colours, totems, geometric patterns, or feel body sensations, muscle cramping, heaviness, seeming paralysis, or they may experience nothing at all other than deep relaxation. Dreams and imagination can be heightened as the world of the unconscious searches for symbolic ways to attract the client’s attention. A Breathwork Session is a very special gift to give to oneself – take 3 hours to be with yourself in a safe and gentle space and LET GO to your breath ! ! ! Group sessions vary according to the group size and innate character. There is time for introduction and discussion, time for light refreshments and a space to breathe for at least 2 hours and then time to share and close. Contra-indications: Breathwork is not suitable for pregnant women, people with any form of heart ailment, glaucoma, severe asthma, epilepsy or any history of severe mental illness. If you have flu please wait three days after recovery before engaging breathwork. The use of hard drugs of any kind other than those medically prescribed is contra-indicative to the process.